Harper's Bazaar UK magazine voted Caudalie Premier Cru Serum 'The Best Of The Best' for mature skin with the beauty director, Katy Young, describing it as 'The most powerful product for improving the skin's health and appearance'. Quite the accolade, given that it has only been on the market for 12 months! So what makes it so special? The Premier Cru range has been on the market for 10 years but the serum was new to the market in January 2018, after 5 years of research. The Premier Cru range is an anti-ageing range (I would suggest aimed at those 35+) and its main ingredients are those patented by Caudalie: Resveratrol (an anti-oxidant), Viniferine (sap from grape vine, which fades hyperpigmentation) and Polyphenols (to repair and protect the skin from free radicals), combined with hyaluronic acid (which attracts 1000 times its weight in moisture) among others. This combination aims to nourish, firm, plump and improve the texture of the skin. Over the past five years, they have partnered with researchers in Harvard University to develop new ingredients and the result is Vinergy, which will encourage the energy cells (mitochondria) in our skin to regenerate, which in turn boosts collagen, but also help to increase the effectiveness of the other products we use. Sounds pretty effective in terms of anti-ageing, right? The serum can be used both morning and night. The texture is very lightweight - almost watery and it layers well with other products without any pilling. It absorbs immediately and feels soothing and hydrating on my thirsty skin, although I think it would suit all skin types. It has a beautiful rose scent, that isn't overpowering and doesn't smell at all fake. In fact, the serum is composed of 95% natural ingredients. In studies, 78% of volunteers found that their skin had gained vitality over 7 days and 80% found their skin to be firmer. I absolutely agree with those findings, as does my mother. I bought a bottle for her last year and she raved about it and said she found that her lines were less pronounced and that she looked 'less haggard' in her words! I don't think I could ever describe her as looking haggard but we are all our own worst critics. That being said, she did look like she was glowing. For my part, my favourite thing about the serum is that my skin looks plump, hydrated and radiant when I use it and my skin feels stronger and more elasticized. 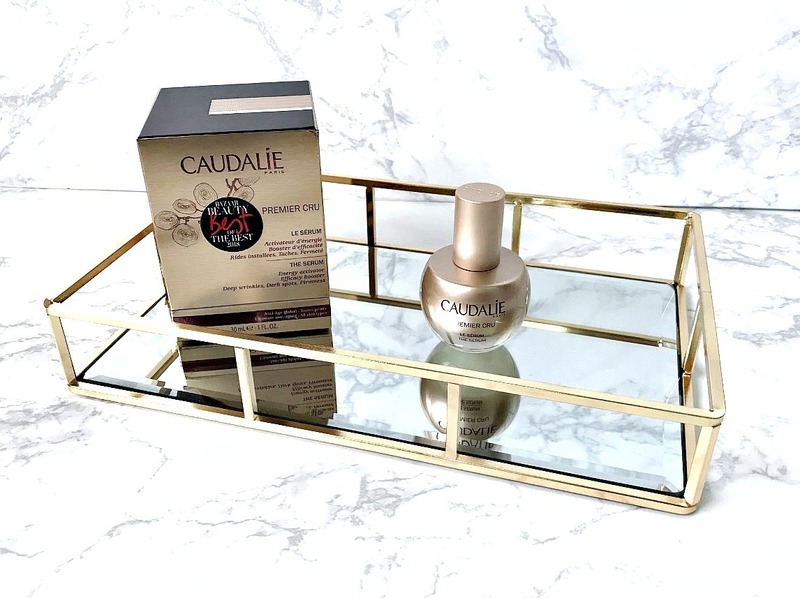 I can totally see why Caudalie Premier Cru Serum was voted the Best Of The Best and I think it will become a cult product that other anti-ageing serums are compared to. Incidentally, the eye cream in the range is another brilliant, effective product. Have you tried this serum? I'd love to hear your thoughts! All products are bought by me, unless otherwise stated. This serum was kindly sent to me but this is not an ad as I was not paid to write this post. Opinion is always my own. Affiliate links may be used.